Two things struck me when I loaded up 14.04 in a virtual machine; the Unity launcher just works (it didn't before in VirtualBox), and the whole desktop look is so much cleaner and crisper. A lot of new code has gone into the desktop, you can see it in the Unity Greeter and carried through to the lock screen. Given there's no fall-back mode, no Gnome2 and no plan B, the Unity desktop has to work. On everything. I expect much of the work has been done for those running 14.04 on HiDPI screens (such as a Retina Macbook), to the benefit of the rest of us. 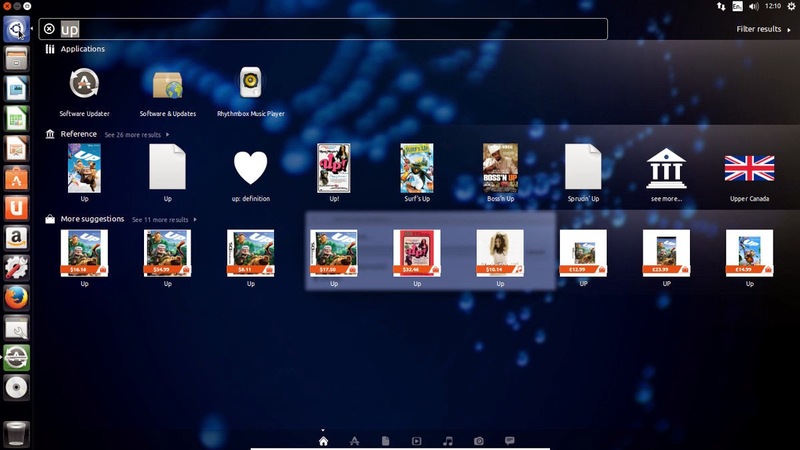 The Unity launcher, Dash, Window Controls theme, icons and text all scale proportionally, showing up third-party applications, many of which look fuzzy and distorted. The UI scale can be set from System Settings, Displays. 14.04's 'bling' extends to anti-aliased corners, borderless windows and a new Unity Control Centre, all largely enabled by the move from Compiz to GTK3+. Consequently, the 14.04 selection of wallpapers is quite stunning to show things off; Jelly Fish, Water Web, Reflections, Forever Shady, Berries and a new default wallpaper are among the artistic highlights. Locally Integrated Menus (LIM) should please many, now Canonical has backed off its 'my way or the highway' stance; for the first time since the introduction of the Unity desktop launcher, Ubuntu is offering users a choice of where application menus appear. By default, the menus continue to appear in the top panel, but you can now choose to return them to the application's own menubar position; tick the Local Menus option located in System Settings, Appearance, Behaviour. There's another tacit climbdown over usability. Anywhere in Windows or Mac, and on most Linux desktops, one click on a launcher icon will minimise a running application off the current workspace. Unity now joins in with Minimise on Click. Admittedly it is an ‘unsupported’ extra that requires you install the CCSM application via the Software Centre, before you can set Minimise on Click at the Unity section, ‘Launcher’ tab. 14.04 runs a 3.13 Linux kernel. The current stable builds of Firefox, Thunderbird and LibreOffice are included by default, along with old GNOME favourites – Rhythmbox, Gedit and the Terminal; patched - or 'unpatched' - restore full application menus. Nautilus has also been reset so that 'type ahead' searching works in Ubuntu again. TRIM is enabled by default for Intel and Samsung solid-state drives (SSDs), Nvidia Optimus graphics support is also improved if that's your hardware. What is missing may be more telling: Mir, the new graphics stack being developed by Canonical to replace X Windows is still nowhere ready. There's no touch-enabled desktop for tablets, either, although we may see the first of the long-awaited Ubuntu smartphones toward the back end of the year, along with a touch interface that could be in 14.10. But pet-hates persist: Unity lenses. What I still don't like is the ghastly shopping lens in Unity Dash. This is still opt-out rather than opt-in; it's blunt, artless, child-unfriendly and an invasion of privacy. All in the name of trying to cream a little commission from a tiny percentage of on-line purchases. I try to search for an application and two-thirds of my screen is taken up with random c**p from Amazon trying to sell stuff. And I mean random. I search on "up" (software "up"dater) and my screen is filled with shopping suggestions some of which (Mr Snoopy Doggy Woof-Woof) I am pretty sure are not age appropriate. So the first thing I need to do is disable online search in the Dash. Simple enough to do using System Settings, Security and Privacy, Search: "When Searching in the Dash - include online search results" ON/OFF. But that takes out ALL online results, so there goes my news and weather. I suppose that's what browsers are for. Disabling the Shopping Lens is possible but remains a technical challenge because Canonical doesn't want you to do this. Canonical is a commercial enterprise. Fine. If you don't like that, use a different distro. I do. 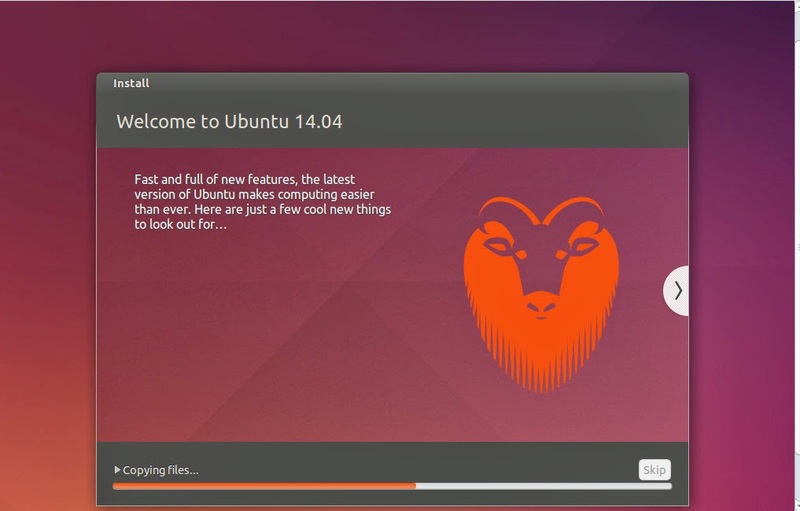 If you are a regular Ubuntu user, then no question it’s worth upgrading to 14.04. The finessing of Unity is worth it on its own. This LTS gets security updates and selected application updates (Firefox, Thunderbird and Chromium) for the next five years, with interim release Ubuntu 14.10 in October only officially supported for nine months. If you're not an Ubuntu regular, is it enough to make you switch (or in my case, return)? No. Canonical's commercial imperatives are still at odds with the Open Source ethos. Driving Canonical’s mobile ambitions appears to have been at the expense of the desktop - even though all of that work will eventually benefit the desktop; but for how long? It's taken a long time to get Unity to a state of maturity, just as the pundits predict the death of the desktop OS. Looking at 14.04 I still have more questions than answers; is the conventional PC desktop dying? How much effort and should Canonical expend on a desktop operating system? Can Canonical make any inroads on other form factors? TVs may still be open territory, but surely Android (Linux-based) and iOS between them have the mobile space locked down?